Rebecca Powell was born in Bristol and has a degree in French and Portuguese from the University of Leeds. In her early twenties she worked for a year at a women's shelter in the northeast of Brazil, before moving to London, where she continued to work for a number of national charities. She now lives in the South West of France with her husband and three children. Rebecca is the sister of award-winning novelist Gareth L Powell (Ack-Ack Macaque; The Recollection) and children's author Huw Powell (Spacejackers). Determined to honor her late husband’s final request, Judith and her teenage step-daughter, Rosa, set out on a journey from London to Brazil to track down his family and take his ashes home. But when Judith’s search leads her to Ricardo, a handsome but haunted human rights lawyer, she begins to unravel a web of lies surrounding her husband’s past: a past which is about to come crashing into their present in the form of Rosa’s real mother. When we got married, even I only gave us a year. I’d been giving us a year for the past fifteen years. That summer was our anniversary and I was planning a surprise for Edson – not that we ever celebrated anniversaries - we weren’t that kind of a couple – and in any case, there hadn’t been much cause to celebrate over the last few years. We’d covered it all: for better and for worse, in sickness and in health, but that evening, despite it all, despite all those nights alone with a bottle of gin, and those often equally lonely nights together with our backlog of baggage, I was determined we were going to celebrate. It was dark before it should’ve been, the cold London night devouring the last crumbs of the miserable end-of-winter day. My feet were throbbing after a double shift on the jewellery counter. As my new trainee Denise locked up the display cabinets, I slipped out of my blistering heels and stretched my toes, imagining sinking them into the soft, warm sand of a Brazilian beach, thousands of miles away from this crummy job; this crummy weather. That was going to be our celebration – my anniversary present to Edson; my apology for the past and a promise for the future. It had taken me the best part of two years to save up for the trip – squirrelling away the pennies and the pounds, steadily, stealthily, secretly building up enough to take us all away - and at lunch time I’d finally done it; I’d walked in to the travel agents across the road and booked our first ever two-week holiday as a family: me, Edson and Rosa. I couldn’t help but grin as I imagined the look on their faces when I showed them the tickets later that night. A voice interrupted my daydreaming. It was Mike, our manager. He’d flung open the double doors and was striding over to the counter. The rest of the staff hurried towards us. No-one made eye contact with anyone else, and for a moment it looked like no-one would admit to anything, but then beside me I saw Denise slowly start to raise her hand. Denise was twenty-one and a single mother of two boys. She was bordering on incompetent but I liked her refusal to let lack of skill or experience curb her enthusiasm. She was like a little clockwork mouse; wind her up and off she went, smiling, helpful, eager, as long as I pointed her in the right direction. I felt everyone hold their collective breath, waiting to see what he’d do. The week before he’d fired Suzanne from lingerie because she’d knocked over a display and torn an expensive dress. I glanced at Denise. She was biting her lower lip and staring at the floor, her hand hovering by her hip. Her mum, who’d promised to look after the boys whilst she was at work, had flown off to Ibiza with a man she’d just met and Denise was having to fork out for childcare. I didn’t know what she’d do if she lost her job - she’d only been there two months; she was still on probation. I, on the other hand, had been there two years and had a perfect record. I couldn’t let him fire her over something so inconsequential. Besides, I was still buzzing from the high of finally booking our holiday. I reached out and gently lowered her hand. “It doesn’t take a genius to lock a door.” He was looking at Denise. “And you’re absolutely sure you want to take responsibility for this?” he asked. I had been, until he’d said that. Nevertheless, I nodded. The most I’d get would be a wrap on the knuckles. I’d had worse. It’d be worth it if it meant Denise got to keep her job. “But,” I started, only he was already heading back out the door to the stairs. I looked at Denise, who was staring at me with tears in her eyes. I turned and ran after him. He stopped and watched me as I stumbled up the last few steps towards him, still barefoot, pink-faced and puffing. “It wasn’t your mistake to own up to,” he said. He didn’t sound angry, he sounded disappointed. I looked at him, mouth open as if to speak, but nothing came out. I couldn’t stop shaking my head. “Mike,” I called after him but didn’t move. I knew this was about more than the stockroom. I hadn’t known he was married when it started, or else it wouldn’t have started at all. I already knew it was beneath me, sleeping with the boss, but I couldn’t help it. He’d made me feel like I still had something; could still feel something - until that afternoon, when I’d found out he was married and naively asked him when he was planning on leaving his wife. As he’d said it, I knew it was true. I wasn’t going to leave Edson, but I realised that I’d simply wanted him to want me to. “You don’t understand,” I’d said, but then stopped. He was married. It no longer mattered what the truth was about Edson and me; about our arrangement. I’d been an idiot and it was over. And Mike had clearly welcomed this excuse to clear up his mess and get rid of me. I watched as his office door clicked shut behind him. I knew Edson would have been expecting me home hours ago, but not trusting myself to hold it together in the tomb-like tunnels of the underground, I’d sought refuge huddled against the window at the back of the night bus, staring at the pale reflection of my face as life hurried past outside. “No need to come in again,” Mike’s personal assistant had told me, slipping on her jacket and reaching for her handbag to let me know we were finished. “I’ll forward you the necessary paperwork.” She’d looked down her nose at me with what was either pity or disdain, I couldn’t decide. She was half my age, newly engaged and one of those people who still believed that there were no problems, only solutions. She hadn’t a clue. I leant my forehead on the cool glass and felt my heart sink. I’d messed up everything. I’d been planning this evening for so long; the evening where I’d tell Ed about our holiday to Brazil; where I’d listen as he told me again of the beautiful house on the beach where he grew up; of his surgeon dad and his politician mother; of his beautiful sisters and his successful friends. I’d wanted to wait until I was sure we could afford it; a surprise; the best present I could ever give him; the one thing he longed for more than anything in the world – to go home. I’d even taken up Portuguese classes again, like he always wanted me to. Only now I’d gone and ruined everything. A group of young girls giggled in the seats in front of me. I shut my eyes and listened. How had I got there? Crumpled on the late bus, alone, thirty-eight years old and out of a job – again. My life was being sucked away from under me and what was I doing about it? Just ignoring it, letting myself fade away, like that was normal, like this was all my life was ever meant to be. I knew Edson would be disappointed if he knew about Mike. He’d always been my biggest fan, the person who believed in me, even when I stopped believing in myself. He’d say ‘what were you thinking?’; he’d say I deserved better. That was easy to say though, wasn’t it? Doesn’t everyone think they deserve better? As if the world owed any of us anything. But where would we be if we all got what we deserved? I pushed open our peeling blue front door and felt the stale warmth of home hit my face. I slipped off my shoes and felt the worn carpet, rough under my feet. Adding my hat and coat to the pile of paraphernalia already hanging over the banister, I made my way as quietly as I could past the living room door and into the kitchen. A holdall seeping dirty washing told me that Rosa was home from whichever friend’s house she’d been staying at these last few days. She’d been staying over more and more of late and when I asked where she was, she’d avoid the question and just say that Dad had said it was okay. “Jude? 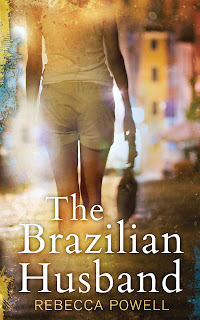 That you?” Edson’s voice came from the front room, his Brazilian accent still thick even after fifteen years in London. He’d always be waiting for me to come home after a day on his own. I’d change his catheter and we’d laugh together as I told him about some daft thing someone had done at work, or the palaver I’d had with a particularly obstreperous customer. At least, that’s how it usually went, except when he was deep into one of his depressions. After almost fifteen years, he was still my best friend in the world and I loved him with every part of me. I knew he couldn’t control his depression, the doctors had told us it was to be expected, and I tried not to blame him. It came in cycles and we dealt with it the best we could, but those last few weeks he’d been worse than I’d ever seen him; monosyllabic at most. I hadn’t managed to get even the hint of a smile out of him. I knew it had something to do with the call from his ex-lover, but he refused to discuss it. Instead, we’d discuss what he wanted for dinner; he’d want something I didn’t have and then he’d try to goad me into an argument about it. I’d make his bed, tidy away his left-over lunch and pretend I hadn’t heard, telling myself that it would all be forgotten once I told him about the holiday I was planning. Only now there wasn’t going to be a holiday. I’d blown it. I was going to have to go and persuade the travel agent to give me a refund. We’d need the money to see us through the next few months, whilst I looked for another job. “Just a minute,” I forced a breeziness into my voice as I reached in to the cupboard for the bottle of gin, only to remember I’d drunk the last of it the night before. I stood staring at the empty shelf. How could I tell him I’d lost my job? How were we going to manage without my wages? I couldn’t lay that worry on him, not when he was like he was. I’d promised him a long time ago that I’d take care of everything and I wasn’t about to let him down. “Jude!” He was getting impatient. Dinner would have to wait. I kicked the bag of clothes toward the washing machine and gathered the dirty mugs, glasses and plates from the worktop just as Rosa decided to turn up the stereo in her bedroom and the ceiling started to vibrate. “Hey!” I shouted up, noting the growing watermark emanating from under the bathroom - one more thing to add to my interminable to-do list. When there was no response, I shouted again. And again. I stormed to the bottom of the stairs and called up. “Rosa!” Shouting made my head hurt. “Rosa!” I yelled, my frustration mounting, my anger at Mike and at myself for being such an idiot making it far worse than it should’ve been. “In a minute, Ed,” I snapped. At times like that I resented his dependence on me. I craved freedom. I wanted to be elsewhere, anywhere, for just one night: one night when I had no one to look after. I suppose that had been the allure of my sad affair with Mike. The music clicked off. I lifted my head to shout up again but was caught off guard by Rosa’s face appearing over the banister. At fifteen she was so tall, so awkward with her still undecided beauty. “Same difference,” shrugged Rosa, slouching down the stairs and rummaging under my things to find her bag. “Watch your tongue.” I knew I sounded like my own mother and cringed. When had I let myself become such a nagging middle-aged cliché? “Of course it isn’t.” Who was I trying to kid? I wasn’t talking about Rosa. At least Rosa was having fun. “Better than being a frigid old cow,” Rosa shouted. I slapped her hard across the face. I didn’t mean to, it just happened. We froze; both of us knowing a line had been crossed, unsure where to go from there. Just then Ed called me again, this time more urgently. I stormed in to the living room, shaking and angry with myself. “What?” I snapped, then fell silent as I saw him, lying between the television and his wheelchair, the remote control on the floor next to an open bottle of tablets. “Rosa!” I screamed into the hallway. Thank you for sharing your first chapter Rebecca! Readers, for more information about Rebecca, find her on social media!